Reggae has never been a favorite genre of mine. The fact that roots reggae is so bound up in Rastafarianism is probably a big reason why I listen to so little of it. I grew to prefer dub by the 90s, where the vibe was emphasized over the message, and when the message was Rastafarianism, I had no interest. So that is probably the reason why it took me embarrassing decades to notice that the elephant in the room regarding “Metamatic” is the fact that dub reggae informs so much of its vibe. If we wanted to get cute about it, I suppose that the album could be described in a flippant two word fashion as Kraftwerk Reggae. It was right there in your face as the opening track, ”Plaza” began. A synthetic skank as bold as life kicked the track off as the minor key lead lines evoked the eerie science fiction horror of Dr. Quatermass, which the young Dennis Leigh probably watched [from behind the couch] as a boy. But the concrete brutalism of the lyric and vibe spoke ultimately to science fiction of another kind; the monolithic impersonal landscapes of J.G. Ballard which contrasted with the fractured interiors of his protagonists. In this plaza, death hovered close by. Omnipresent in the faces remembered from shattered windscreens. Crash. It happens. The thing about this song that struck me as being backward looking and wrong, when I first heard it in 1981, is now one of the aspects of the album which lend it a patina of timelessness that serve it well to this day. The only non-synthetic instrument on the album was Jake Durant’s precise, surgical fills of actual bass guitar. I looked him up on Discogs and this was the only album he ever played on. The extremes of sound that Foxx hybridized to make this music have insured that not only did it stand outside of the environment of 1980, it still sounds outside of any conventional pigeonholes today. 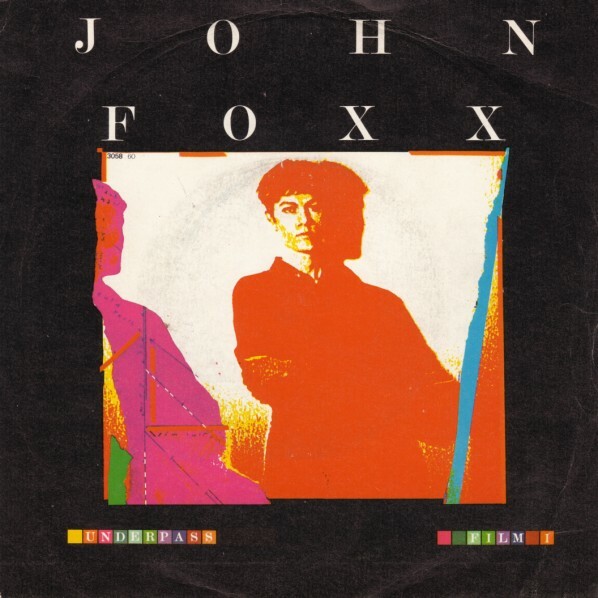 Fluidity of self has been a John Foxx trope for 40 years going and its flashpoint was “He’s A Liquid;” a song he wrote before leaving Ultravox. Foxx has talked about the experience of body surfing in the ocean and the resultant feeling of dispersal as being very impactful. As he described a couple whose masculine half was undergoing fluid transmutation the dryly descriptive lyric resulted in an odd AABCC rhyming scheme on the verses. I’ve never heard such a symmetrical rhyming scheme like that one before. The dry, metallic “kick drum” that this song pulsates to was a hard and unforgiving use of the CR-78 that formed the basis of this album’s rhythms. The lead single was next, although Virgin had gone as far as pressing up “A New Kind Of Man” instead with some of these escaping out into the wild. “Underpass” built its sound on baleful, aerosol synths advancing with the resultant Doppler shift in pitch that would come to typify much of the music on this album. Foxx was going places, creatively, and this was mirrored in the panning in space of the sounds, and even vocals that would be deployed here. As the hum approaches the foreground in the intro, the relentless, but measured beats move the song forward at a methodical pace. The lead Arp lines have an almost Ennio Morricone feel to them as they seesaw to and fro melodically. The song was once again ensnared in a dub reggae foundation accentuated periodically by ticking “hi-hats” followed by slamming beats. The dystopic feel of the lyric suggests a place out of the timeline where even disasters are only half-remembered, and perhaps it’s better that way. It’s hard to imagine how a song this clinical and dispassionate managed to find an audience, even in an environment primed by the Foxx influenced Gary Numan, but “Underpass” managed to get as high as #31 in the UK pop charts. The acme of Foxx’s dalliance with popularity. 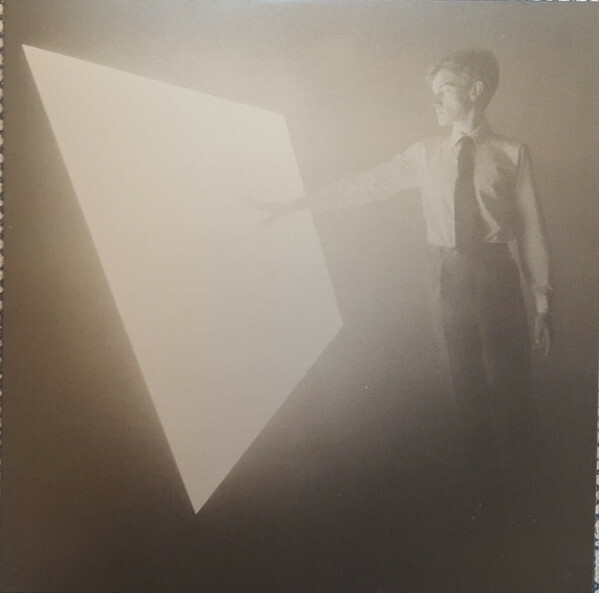 This entry was posted in Core Collection, Record Review and tagged 1980, 2018, John Foxx, Metamatic, Metamatic Records. Bookmark the permalink. I have always visualized Plaza through a lens of the Brutalist Architecture of Europe and the US post WW2 era 1951 – 1975. That architecture, as functionally beautiful and impressive as it may have been, seemed to build dark and dangerous spaces in its surroundings. The Ballardian references you make are certainly a given and a theme I don’t believe Foxx will ever be done with. I have always felt there was a kinship between what Foxx accomplished with Metamatic and what Numan accomplished with Telekon. Both created a particular world which their protagonists attempted to live in/survive. Both approached this through an introverts experience. Their music wasn’t so much cautionary of a future as reflective that the future was already here. Echorich – Of course we were on “Telekon” from the moment it dropped but what would have I have thought had I been already riding the “Metamatic” bus at that time? The bloom stayed on the Numan rose for at least another year, thanks to the brilliant sidestep away from the Ultravox sound with “Dance” holding its own as “Rage In Eden” and “The Garden” dropped at roughly the same time. I bought all three for my 18th birthday on the same day; something I will never forget. But by the time of “I, Assassin” the end was near. I never bought “Warriors” until the 90s as part of the JPN “Asylum” series. Still one of the first and best CD reissue series ever. Regrettably, my copy of the Asylum box was stolen after one of my WPRK shows. I haven’t actively searched for a replacement copy but I certainly would like to re-obtain it at some point. But yes, just as Metamatic and Vienna were “debuts” that reached very high-water marks, so too was the triangulation of The Garden and Rage in Eden and the very different Dance from Numan. Garden and Dance were unexpected twists, but Rage was a very strong building upon what Ultravox accomplished with Vienna and showed that, like Depeche Mode minus Vince or Genesis minus Gabriel, Ultravox without Foxx could be its own creative and commercial success. The aftermath of punk, the throes of New Wave, and the astonishing four-album Berlin-based Bowie run of albums all contributed — in various ways — to these three albums, alongside many other influences. What a time to be a fan of bold, intelligent, creative music! Thanks so much for pointing out that “the album could be described […] as Kraftwerk Reggae.” It’s so evident to my ears now that I’ll never hear Metamatic the way I used to, which is a good thing regardless the countless times I’ve already been listening to it: it’s (almost) like it’s a new LP now! Chris Von Steiner – I know. It’s sort of like those optical illusions: the young woman or the old crone and once you see it the “other way” you can never approach it with the same eyes again. It certainly puts a new mental coat of paint on what’s a very familiar record of the last 38 years! Si por un momento yo pudiera aceptar que Metamatic tiene algo de reggae, jamas en la vida podría volver a oir nada de John Foxx. Jamás. Odio el reggae. Lo odio. Pero como no lo creo, todo está bien en mi mundo. Elisabeth Veidt – ¡Bienvenidos a los comentarios! Tampoco me gusta el reggae, pero está ahí y ha hablado de la influencia del dub reggae muchas veces. Le gustaba el dub reggae como sonido, ¡no necesariamente rastafarianismo!